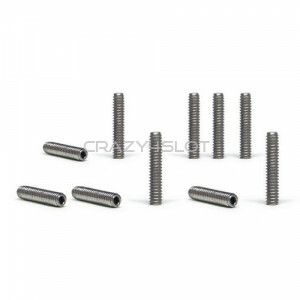 Metric screws for All Slot Car GP Formula body shell. Pack of 10 screws. 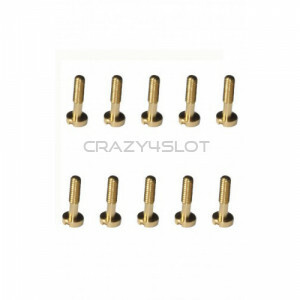 Screw details: H..
Brass metric screws M2 x 5mm Pack of 5 screws. 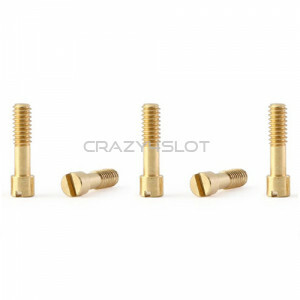 ..
Brass metric screws M2 x 7mm For all F1 Classic Policar models, to fix motor cradle PCH01 or PC..
Brass metric screws M2.2 x 3.8mm. 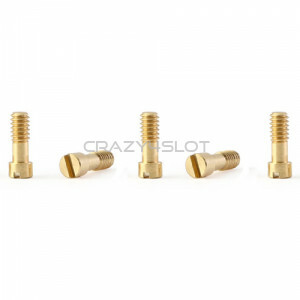 For F1 Classic Policar models, front side screw holders. ..
Exagonal Grub Screws M2 x 2.5mm Pack of 10 screws. 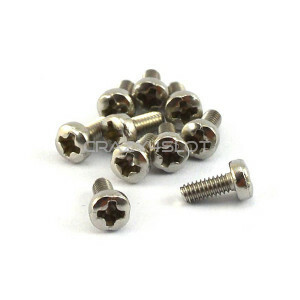 ..
Exagonal Grub Screws M2 x 2mm Pack of 10 screws. 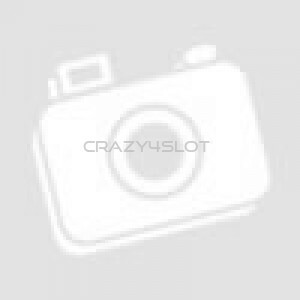 ..
Exagonal Grub Screws M2 x 3mm Pack of 10 screws. ..
Exagonal Grub Screws M2 x 5mm Pack of 10 screws. ..
Exagonal Grub Screws M2.5 x 2.5mm. 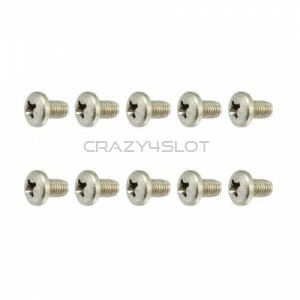 Pack of 10 screw. 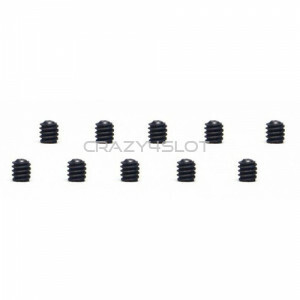 ..
NSR Grub Screws M2.5 .050" Pack of 10 grub screws. .. 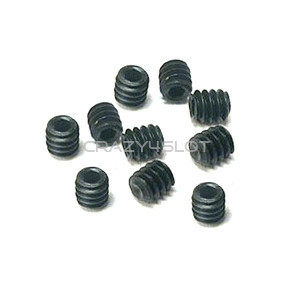 Pack of 10 screws for pick up guide Nsr 4844 - M2x4mm ..
Slot.it hexagonal screws M2 x 10mm for front axle setup. 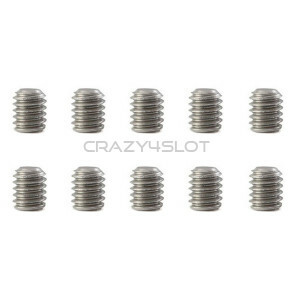 Pack of 10 screws. 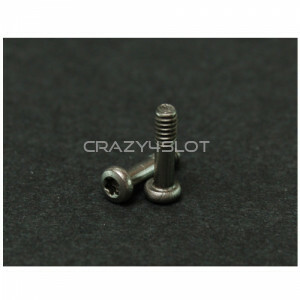 ..
Slot.it hexagonal screws M2 x 2mm. Pack of 10 screws. .. 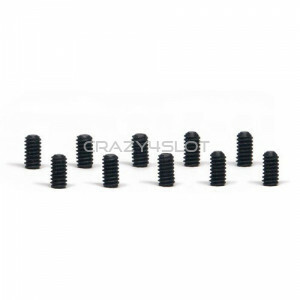 Pack of 10 hexagonal screws M2 x 2mm. .. 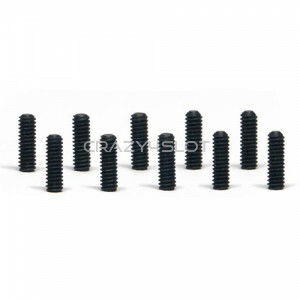 Pack of 10 hexagonal screws M2 x 3mm. ..